While the media focuses on the Surge battle plan in Baghdad, another major operation has begun against Iran. It is a two pronged offensive with one pincer rooting out Iranian backed militias in the Shia south and the other decimating the Revolutionary Guard in Iran. Some liken the operation to a game of whack a mole, but in reality it is more like a squirrel or a badger. Animal rights activists have called it a humanitarian nightmare because of the unconventional tactics utilized by Coalition Forces. 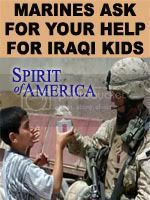 In southern Iraq British troops have unleashed an onslaught of Ferocious Honey Badgers that have terrorized Shia militants and emotionally scarred their children. Human rights leaders have condemned the attacks as indiscriminate against civilians and demand that the exploitation of these animals must cease immediately. Facing mounting pressure from criticism by anonymous government sources a UK military spokesman, Major Mike Shearer, denied responsibility. However, members of Parliament have announced an official inquiry. In order to deflect attention from his upcoming suspension from Parliament, disgraced MP George Galloway declared that he will intervene on the badgers’ behalf. 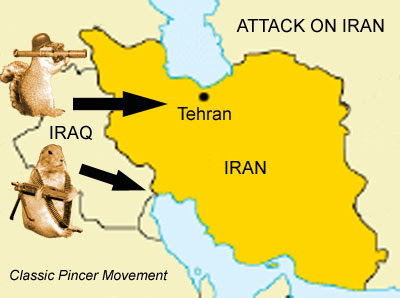 The other prong of the operation entails a much riskier tactic that requires deep penetration into Iranian territory. In order to move much quicker, in lightening thrusts, the Coalition has opted for Attack Squirrels that move over vast amounts of land at a greater speed than Badgers. Initial raids by Squirrel Scouts resulted in their capture by sharp-eyed border guards, but Iran is concerned that they have lost track of the main body of elusive rodents and expect attacks in their rear lines. To defend against such circumstances they have fortified their positions bringing up tanks and artillery. Experts agree that this military operation has unnecessarily raised tensions in the Persian Gulf. President Ahmadinejad made a historic speech to the Iranian people stating that all squirrels and badgers “will be wiped off the map”. Iran’s Sahar 1 TV aired a hateful weekly series called “Zahra’s Blue Eyes”. The show accused Israel of stealing body parts of Palestinian children. It featured graphic scenes of Palestinian children whose eyes have been surgically removed and stolen by Israel. Iran’s Mehr News Agency ran a story accusing Israel of inflicting cancer on the Arab world. It was titled, “Israel Exporting Carcinogenic Foodstuff to Arab States”. They stated, “The trend has led to an increase in leukemia and liver and stomach cancer in the Arab countries which have imported Israeli foodstuff”. Hizbullah’s Al-Manar TV broadcast a program claiming that Zionists were spreading diseases amongst Arabs. It stated that there were, “Zionist attempts to transmit dangerous diseases like AIDS through exports to Arab countries”. A Squirrel Commando attacks an Iranian offshore oil facility on behalf of his Zionist masters (Photo by AP). just wanted to let you know that I added Freedom Now to my "Essential Links/Blogs" list. See you again soon. Great post, Iran is match for squirrels. Indeed!!! 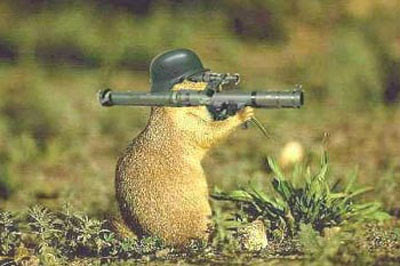 You will note that July has been the deadliest month for Squirrels since the invasion of Iran on 7/4/07. With possibly dozens killed and 14 captured the Pentagon is rethinking its strategy. However, military experts are optimistic since the main force has by-passed Iranian strong points in classic blitzkreig tactics. As I write many are climbing trees and spying on the Mullahs' bedroom windows. The show accused Israel of stealing body parts of Palestinian children. ...of course...its the Joooooooooooos the Joooooooooooooos the Joooooooooooos..dontcha know! I assure you that there are no infidel squirrels in Tehran!!!! I hear that Iran has enlisted the Progressive Duck who was fired from his job as pitchman. I think the question about the badgers is what were you smoking before you saw the badgers. Hugo Chavez is loved in Iran I bet most of Iranians do not even know where Venezuela is or who he is. It strange that you mention Venezuela because news reports coming out of Iran are claiming that they are developing a new secret weapon with Hugo's help. Venezuelan scientists have discovered the remains of giant rodents that were bigger than grizzly bears. Using technology stolen from the Jurassic Park Franchise they are working to reanimate these creatures in order to defeat the Capitalist Squirrels fielded by the U.S. military. This is another serious escalation of this crisis. Ever since the murder of Farfour Mouse, a Hamas ally, the battle for the hearts and minds of the animal kingdom has become heated. 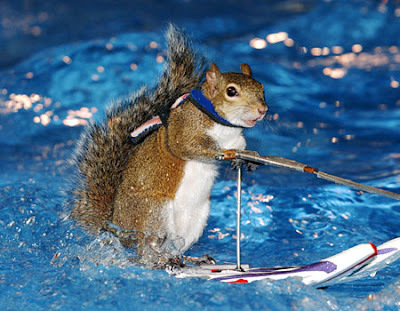 Ducks can swim without the aid of customized jet skis like our Squirrel Commandos use and most importantly they can fly. That is more bad news. I suggest that Congress retreat to Guam. They will be much safer there and will be able to launch strategic strikes against migrating ducks. MI-6 cooperating w/ CIA biologists and Navy dolphin trainers strike again! Great humor, man! You are the best! I checked the links too! This stuff is serious. Hey, I'm dead serious here. Just printing the facts, thats all. Farmer John has all the details on how this hideous plot was carried out. As a part of this secret project they performed some experiments on him in the Area 51 laboratory. Now he has a bushy tail and whiskers on his face. So if you were wondering thats how he got 'em. That’s simple, I just set up an RSS news feed for “Crack smoking Iranian mullahs”. Bam! Now I have all the access I need to hard news stories illuminating the espionage activities of the wild kingdom. What lunacy!! You can't help but laugh. Then again, Housewife4Palestine wrote a post (that I blogged about) claiming she was very sick and the Israelis were poisoning the Palestinians with chemical and biological warfare. She sounded as if she was about to die. This was months ago, and she is absolutely fine. Overactive, paranoid imaginations, methinks. Sorry I haven't added you yet to my blogroll.. but will tomorrow. Incognito hits upon a serious but unspoken truth. Many on the far left are seriously mentally ill. In Union Square commies would talk of the Mossad bugging their small apliances and these people were not joking. I trained with those squirrels just prior to my trip to Iraq. They're hard, real hard. Nothing bothers them. Its good to get further confirmation of this important news story from multiple sources. The Masonic/Zionist/NeoCon conspiracy has ensnared the world and holds our small appliances hostage. they want a cigar with their acorns - can you believe it?!? we had a hard freeze around easter - guess what? no acorns! plenty of cigars! beak - i think woman is a jooooooo...if she want's to spell it that way, why not? it's more or less a poke in the eye to even people who are offended by the "n" and other words - like "squaw" is supposed to be an insult to me, but it's not. I was wondering when you would show up Nanc. You learn something every day. Thanks for the info, I didnt know that trees in Arkansas grow cigars! Anyways, I suppose that you are not offended by the Atlanta Braves logo. Don't forget the giant spiders the Islamic wackjobs were complaining about some while back and the Jews who could shrink a man's pee-pee stick with just a handshake. 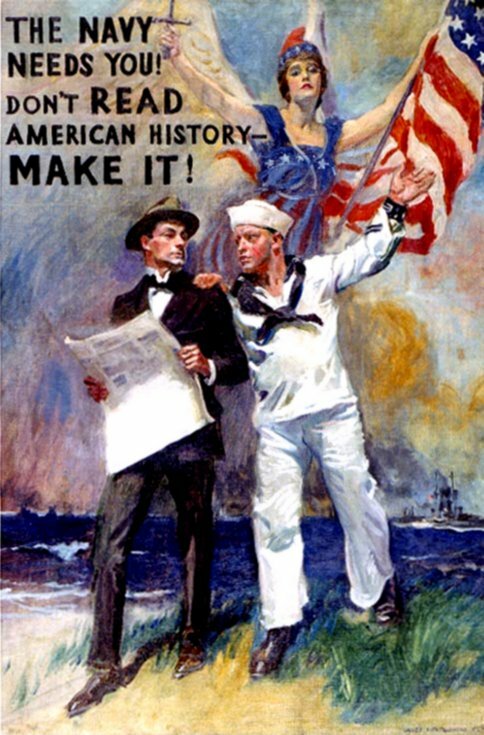 I think that a U.S. war against Iran would be a horrible move - especially during a time like this. "Freedom" - Are you a U.S. blogger, or from Europe? Also, what is your political persuasion? As I've noted before, many of the bloggers who supported the Iraq war are actually left-of-center... and just recently, the Blogosphere seems to be abuzz about the liberal hawks. Are you right-of-center, a liberal internationalist, or somewhere in between? I am definitely a liberal internationalist. However, I dont advocate any military intervention against Iran at this time. What bothers me is that the "antiwar" crowd keeps crowing about possible U.S. aggression against Iran when every day Iran is fighting a proxy war in Iraq and Afghanistan. 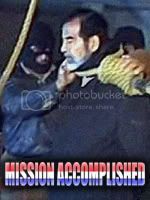 This is real aggression, not the fantasies of the fevered conspiracy crowd. Montagnards - Save the "Yards"
NOTE: By linking to these websites I do not endorse them. They are included here for easy reference for my readers.